Evansville, Indiana – District Judge Richard L. Young, writing for the Southern District of Indiana in the matter of Berry Plastics Corp. v. Intertape Polymer Corp., denied Berry’s motion in limine to prohibit Intertape from proffering testimony or evidence at trial which referred to reliance on counsel or good faith in prosecuting the patent applications for U.S. Patent No. 7,476,416 (the “‘416 patent”). 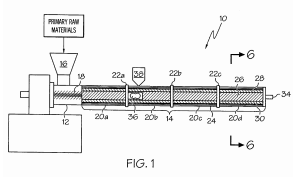 Plaintiff Berry Plastics Corp. of Evansville, Indiana filed a patent infringement lawsuit against competitor Intertape Polymer Corp., which owns the ‘416 patent. The court held a jury trial from November 3, 2014 to November 17, 2014. Prior to the trial on this claim, Plaintiff filed a motion in limine seeking to prohibit Defendant from proffering testimony or evidence at the bench trial that referred to reliance on counsel or good faith in prosecuting patent applications for the ‘416 patent. Full discovery regarding those issues had previously been denied to Berry and Berry argued to the court that it would unfairly prejudice its interests to deny it full discovery, yet leave open the possibility that Intertape would raise those defenses at trial. The case is assigned to Judge Richard L. Young and Magistrate Judge William G. Hussmann in the Southern District of Indiana and assigned Case No. 3:10-cv-00076-RLY-WGH.